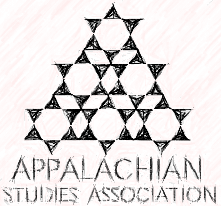 This paper presentation is based on a book chapter I authored for the forthcoming text Appalachia Revisited. Within the text, authors of various chapters aim to help readers examine the place Appalachia is as opposed to the place it is often imagined to be, by sharing diverse perspectives on contemporary Appalachian issues. My chapter, in particular, sheds light on hydraulic fracturing (fracking), a resource extraction method impacting the northernmost sections of the Appalachian region. Within my conference presentation I will discuss how the short and long term economic implications of fracking challenge unity in the region's northernmost tier. I will explain that despite fracking's unfortunate similarities to egregious resource extraction practices such as mountain top removal, it holds a unique appeal in its promise to fill the coffers of private landowners and resolve the financial woes of public institutions. I will then bring into question if fracking is really a "get out of jail free card" by pointing out the hidden financial, environmental, and social costs of the process that receive lesser attention in popular literature and commentary. Jacqueline Yahn is the Middle Childhood Education Program Coordinator on Ohio University's Eastern Campus, and a life long resident of Appalachia. Her most current research examines Ohio's Appalachian schools and their quest to generate equity by entering into natural gas leases with energy companies.